A Hope Island supermarket is set to become the first in the state to ditch single-use plastic bags from their check-outs. 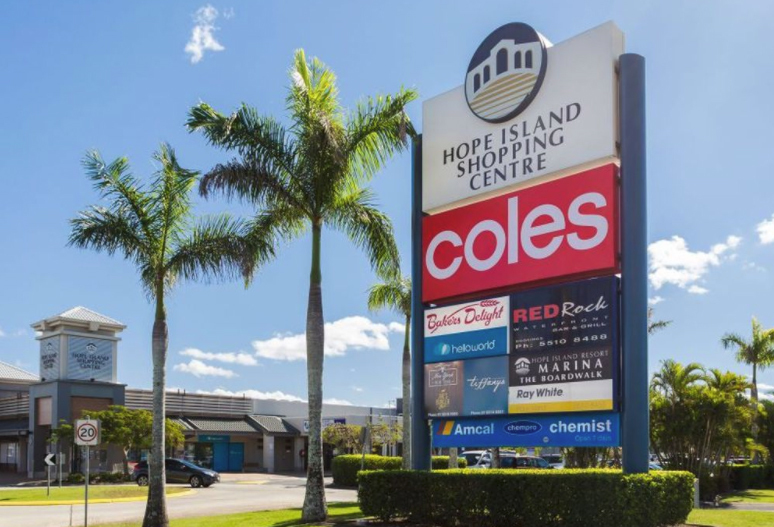 From today, the Hope Island Coles will no longer offer the plastic bags for free, instead customers will have to bring their own or pay 15c from a re-usable bag. The shop is one of four across the country to trial the lack of plastic bags ahead of a statewide ban against them. The major supermarkets are set to completely ditch the single-use plastic bags in June. It’s a step which is long overdue, according to Sea World’s director of marine sciences Trevor Long. “Plastics is one of our biggest issues, along with climate change,” he said. “This is a huge issue and one which we have to educate the public on because we get a lot of animals here at Sea World who are impacted by plastic bags. Out shopping with her daughter Faith, 5, Hope Island resident Sarah Harris said she was excited for the change to come into effect. “It’s awesome, it’s really good, we had it in Adelaide when we lived there about five years ago,” Ms Harris said. “We had to bring our own bags, you just get into the habit and it’s great for the environment. Broadwater MP and Shadow Environment Minister David Crisafulli said residents needed to be prepared to embrace the decision. “Single use plastic bags are convenient but when you consider that around 16 million enter the environment each year in Queensland alone we have a responsibility to act,” he said. Other shoppers largely shared the positive view, including Gary Oliver who thought it would be good for the environment. “I think it’s a good idea, hopefully it means less plastic bags floating around,” Mr Oliver said. Coles Queensland General State Manager Jerry Farrell said Coles welcomed any feedback customers had for them. “We will be looking at ways we can help customers through the process to ensure their shopping experience is a smooth as possible,” he said.